21 Mar United through one goal – make all Europeans digital! 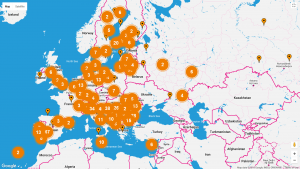 The first 2 days of pan-European Week brought Europeans on exciting digital journeys and let us learn not only digital skills but also geography while looking at 650 + events on the campaign map and getting photos and videos on social media. From flowery Madeira in the Atlantic to the Isle of Man in the Irish Sea and Aland Islands in the Baltic and from the city of Noyabrsk in Russian Siberia to sunny Cyprus and Malta in the Mediterranean – the variety of geography and events is impressive! Some countries have participated in the campaign from its start in 2010, others are just joining for the first time, but each has something unique and valuable to offer in their communities. So far, the largest number of events is in Croatia. CTK Rijeka, which is leading the campaign in the country as the National Partner for the first time, has partnered with the best Croatian organisations involved in improving digital and media literacy, especially for children and young people. 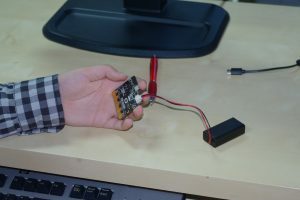 A lot of the events are organised by IRIM (The Institute for Youth Development and Innovativity), which created a thriving teaching and learning system based on micro:bit computer. Those workshops are run across the whole country. Indeed, this is the largest digital inclusion and digital empowerment campaign in Europe, which has already involved over a million people. And we keep going! Even in the countries with high levels of digital skills, there are still those who need help with making the first click and upgrade their knowledge. 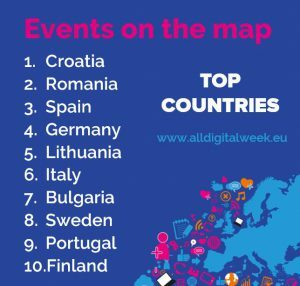 We are happy to bring ALL DIGITAL Week to new countries and new regions and to learn from partners there! For example, this year, the campaign is happening for the first time in Finland, thanks to our new partnership with Bildningsalliansen and Make it Finland. 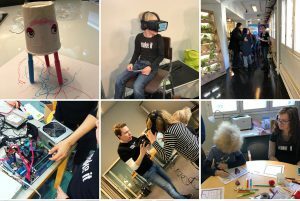 The campaign in Finland started with Make it Festival in Turku on 17 March and with a big launch event on 19 March in Helsinki. In Helsinki, for the whole day the three floors of the big house were offering three different programme channels, including a code corner, a game corner, key notes, dialogue, pop-up presentations live podcasting, you tubing and other interactive programme points. 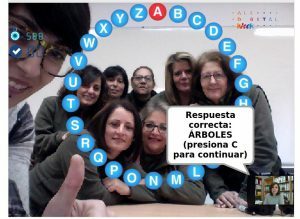 A lot of events, social media posts, photos and videos have also come from Spain (have you seen their Digital Ring activities?). And it is not surprising, as the national partner in the campaign is the Association of Telecentre Networks, which includes 11 networks in itself. The Association has been participating in the campaign since 2013 to encourage people to use the Internet and to acquire digital skills. Spain has been one of the most active countries in these 5 years with 24,000 people involved. “The aim of our Association is to raise awareness and promote digital competences among citizens, especially for social inclusion, safety, life-long learning, and employability,” said José-Antonio González-Martínez, from the Presidency of Association of Telecentre Networks, Spain. “Our more than 1,500 digital innovation centres in Spain are key to reach this objective, but we strongly believe that all the stakeholders involved in Europe must work together to pursue this goal. 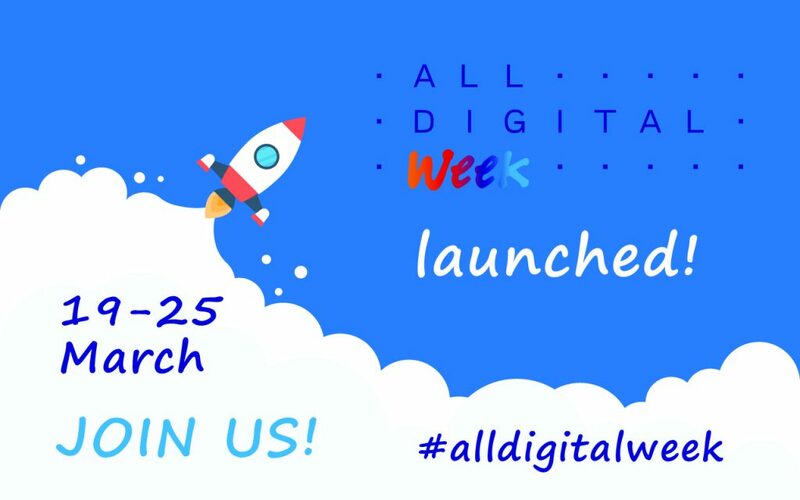 The ALL DIGITAL Week gives us a great opportunity to communicate all our activities in a common framework of joint efforts across Europe, so that every European citizen has the chance to go digital”. Different countries, different organisations united by the same aim – to help Europeans benefit from digital transformation! Join us!